I have always been amazed by the upscale processes shown in action movies. Typically, a satellite photo captures the assumed location of the villain and the picture is infinitely zoomed while preserving a great amount of details. This works pretty well in fictional stories, but when you try to enlarge an image in real life, the result is not what we expect. 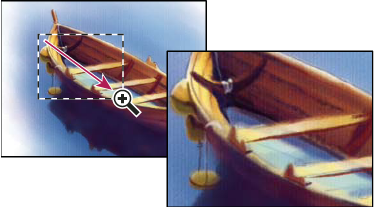 In fact, the upscale process often loses image quality and creates a blurry look for the enhanced picture. While this unexpected outcome seems inevitable, there has been a lot of research on this field. Nowadays, there exists machine learning based software that is able to enlarge images while limiting the loss of quality. Without being too technical, these softwares do a series of guesswork and pixel interpolation trying to preserve the overall quality of the upscale image. Photoshop and even Matlab offer a few ways to achieve this but both programs require a basic training not suitable for general users. Thus, Filestack came up with the perfect upscale solution that requires minimal technical background to upscale up to 2x the dimension of the original image with amazing quality. Are you curious about the upscale implementation? 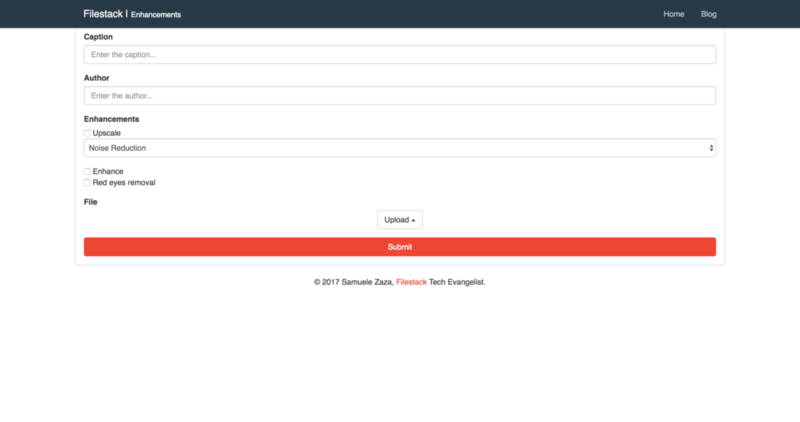 Don’t miss the following tutorial where we will integrate Filestack with React to upscale images. in this tutorial we are using React and you can clone/fork my repository directly from my github. The sample app is composed by two views: A main page where the enhanced photos are listed and a /add view to edit (enhance, upscale or remove red eyes) and send the photo to the server. 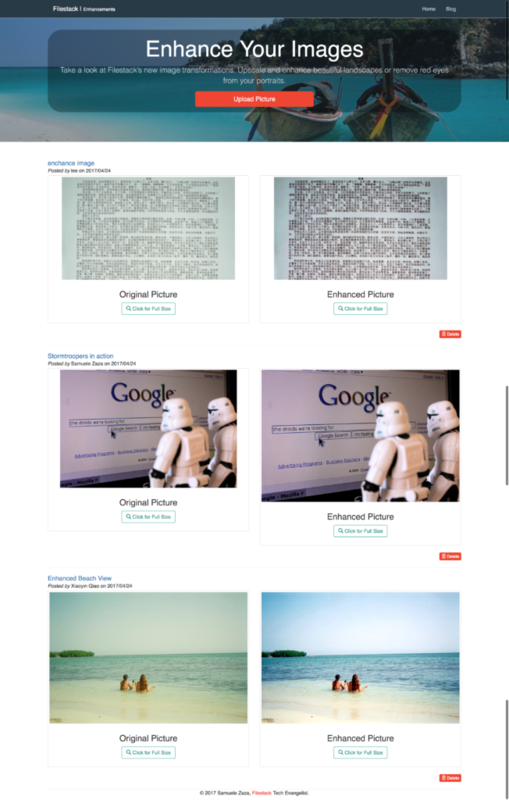 Both the original and enhanced pictures are stored in the json database and shown beside each other to highlight the difference. As mentioned, The /add view offers users the 3 image enhancements from the documentation, red-eye removal, enhancement and upscale. The first step is definitely the file uploader. We are going to use filestack-js, the new npm package you can simply install from the terminal. 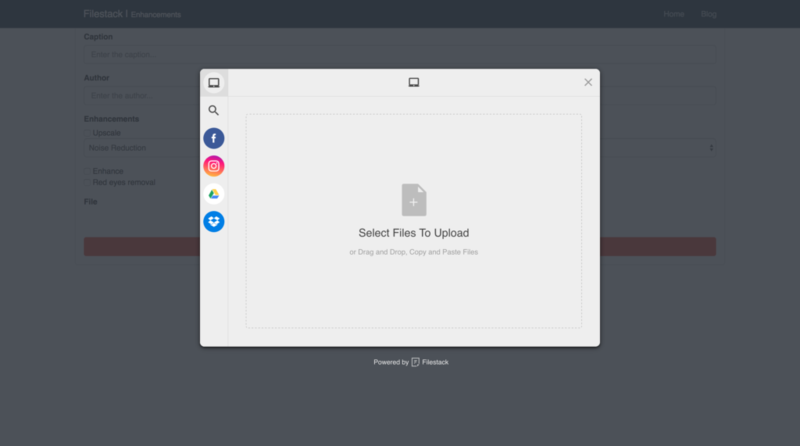 The minimalistic UI allows for drag-and-drop or file uploading from different sources listed on the left, some are actually listed by default like Facebook and Instagram but they can also be programmatically customized. However, this renders only the raw image but we want to upscale it. Thus, we need to complete the photo URL with the specific process API syntax. upscale=upscale:false: the default value is true and it will generate an image that is 2x the dimentions of the original image. upscale=noise:none, low, medium or high: This parameter is not required and default setting is none. Its function is to reduce the level of noise in an image. upscale=style:artwork or photo: The style parameter is not required. The default setting is photo. If the image being upscaled is a drawing or piece of artwork with smooth lines, you will receive better results from the upscaling process if you also include the artwork style parameter. NB: Users can define their preferred noise level! Once upscaled it will become 1604×1604, click on the link! React-Filestack Package is Here – And You Will Love It!